Pressero is a cloud-based B2C or B2B storefront for printer, especially developed for the print industry. Creating your own online open or closed storefront really becomes child’s play as it requires little to no knowledge of web technology. That doesn’t mean you can’t fully adapt your storefront to your branding. Pressero is a cloud-based storefront for printers which can be used in a B2C or B2B environment. This web-to-print solution has been developed specifically for the print industry, which means it has all necessary features to sell a large variety of printed products: from business cards over brochures to banners and posters. The product and pricing possibilities are endless ... With Pressero, creating your own online open or closed storefront really becomes child’s play! Thanks to readily available templates and themes, using Pressero requires little to no knowledge of web technology. That doesn’t mean you can’t fully adapt your storefront to your branding. Pressero allows for easy customization to both your and your clients’ needs. By providing instant online pricing, you will save time by avoiding to create useless quotes and your customer can check pricing and place orders instantly, 24/7. Furthermore, Pressero includes the powerful eDocBuilder personalization and variable data publishing system. Using eDocBuilder, your customers can easily customize, proof and approve documents directly from a web browser. Text, images, data files, QR codes and bar codes can be merged into the finished item. As printer, you'll receive an imposed, press-ready, optimized PDF file once the order is placed. It’s clear that Pressero is not only characterized by its user-friendliness, but also by its time and cost savings! The icing on the cake? Pressero has integration possibilities with MIS, ERP, workflow and other third-party systems you may already own or decide to buy later. If you are interested in Pressero, let us know and we'll make you a quote. An open storefront will enable both passerby’s and loyal customers to quickly get a price and submit an order, allowing you to focus on those customers and jobs that need more personal attention. A closed customer-dedicated storefront with personalized products, pricing and both budget and content approval workflow, will make your customer think twice to start shopping around and go to the competition. With Pressero, you don't have to re-invent the wheel. You can build on years of experience from printers who have already expanded their online presence. So, you don't have to be a web developer to adapt the website to your corporate identity. At the same time, Pressero gives you the opportunity to create your own unique website with a user-friendly buying experience. A web-to-print solution is never alone. Pressero has several possibilities for integration with external systems, such as MIS, ERP and other third-party systems. This way, you can automate from order intake to shipping! Building a custom website can easily cost you tens of thousands of euros without knowing if it will eventually pay off. Pressero can offer you a subscription with a very affordable start-up cost! 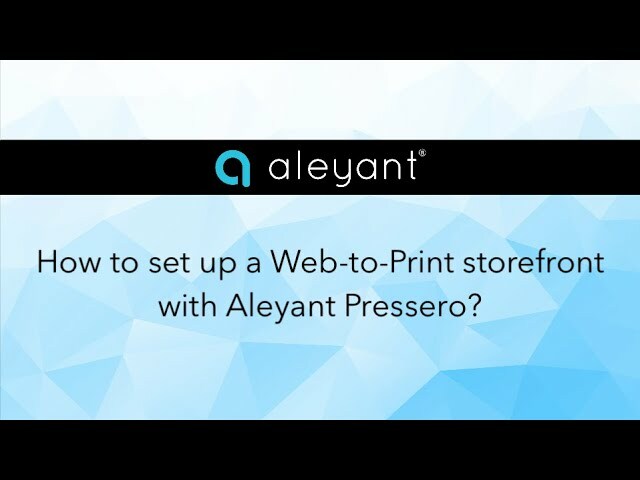 Webinar - How to set up a Web-to-Print storefront with Aleyant Pressero? In this webinar, we will showcase the possibilities Aleyant Pressero has to offer and how to set up your own custom Web-to-Print storefront. In the web-to-print platform of Aleyant Pressero, you can make multiple sites to cater to different groups of users. On the other hand, you can also set up a personalized experience and privileged pricing for key customers, while maintaining only one site. 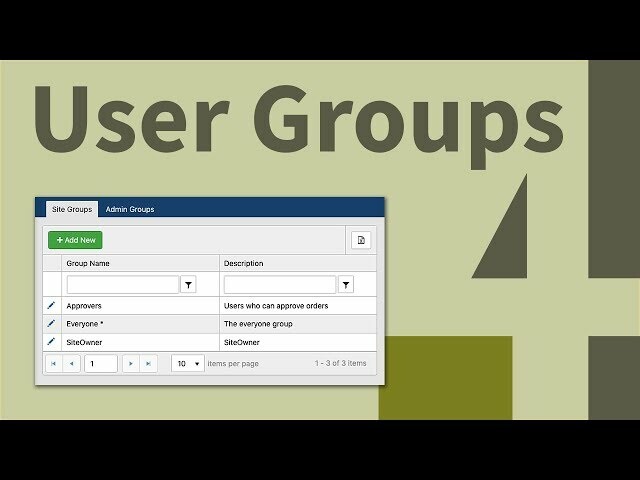 In this video, you'll see an example of such a site, where the visible products are controlled by Site Groups, and you'll see how to set this up in the Pressero administration section. Presentation - How to set up a Web-to-Print storefront with Aleyant Pressero? Aleyant tFLOW is an online platform for job-submission, auto-proof creation, pre-print automation, online collaboration and approval. During this webinar, we will have a look at the latest developments of tFLOW and how it can be integrated in Pressero, the e-commerce and online personalisation solution from Aleyant, and in Enfocus Switch. On 12 October 2017 Tom Peire, CEO of Four Pees, held an English webinar to introduce you to the latest developments of Aleyant tFLOW.